Have you ever encounter any moments where you feel like changing nail colours but you are too lazy to remove your current nail colours? Have you ever feel waste to use so many cotton pads just to remove your nail colours? 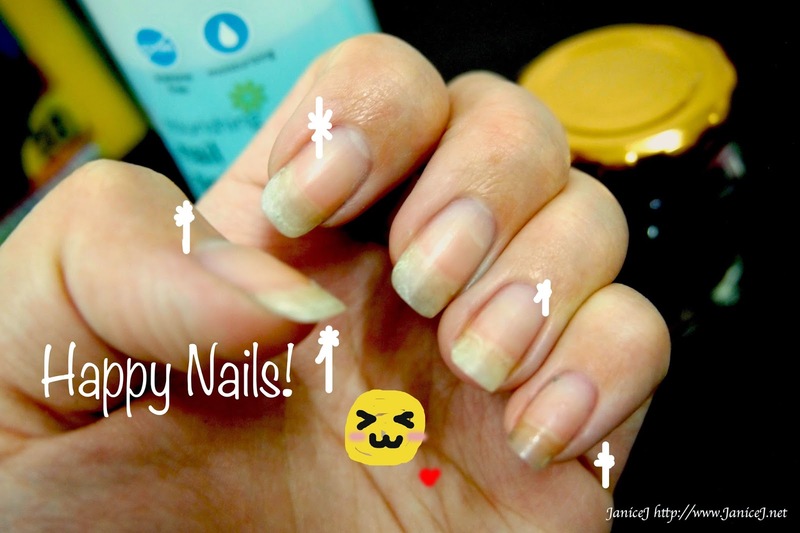 Your nail polishes are prone to chip but you are just too busy to remove it? You wanted to travel out for awhile but don't feel like bringing cotton pads and big bottle of nail polishes remover? Yes, I do. Especially the cotton pads problem where I feel really waste to use it like this when I'm broke. 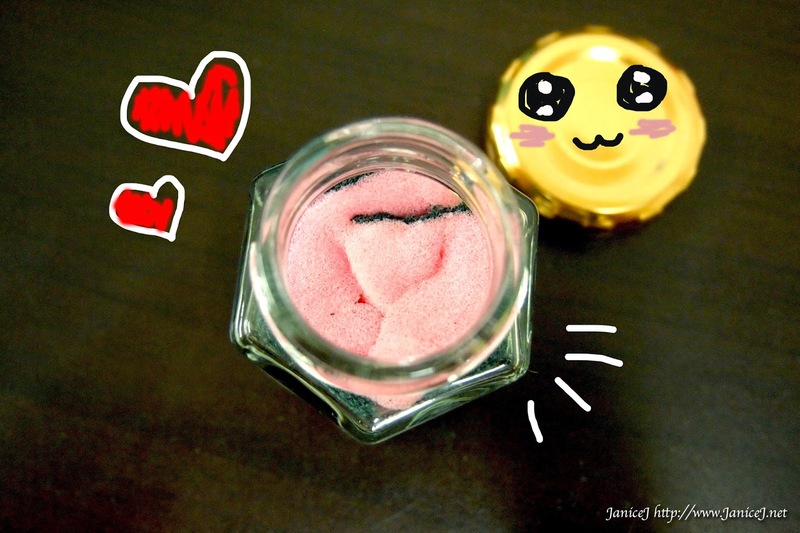 I got the idea to diy this Glitters Friendly Nail Polishes Remover Jar from other's store ready remover. However, like the one in Sephora is not so wallet friendly. It cost approximately RM45 while I only spend about RM20 to diy one. You can even lower down the cost by reusing items you already have at home. Try to work with what you have at home. Please note that your finger go throughout the jar mouth well. Also, make sure that the height is more than the length of your nails. 1. 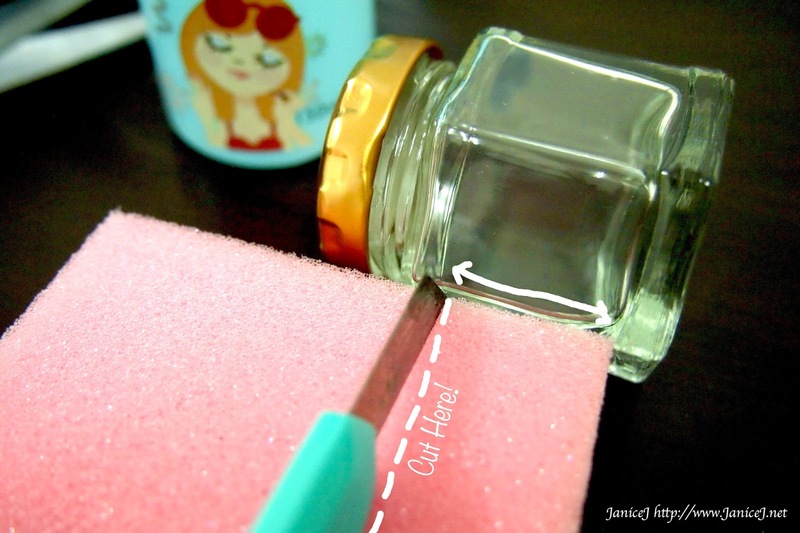 Cut your Dishwashing Sponge to match the height of your jar. I got my sponges in a pack of 10 for RM5.99 from Cold Storage. 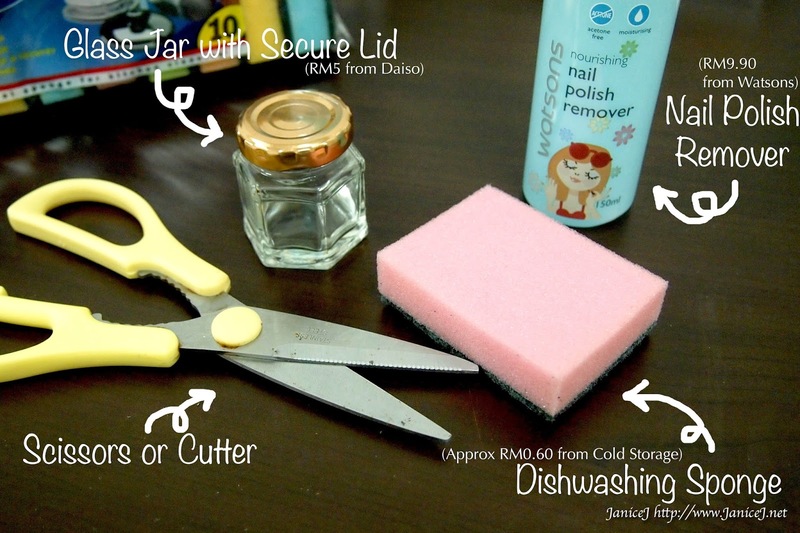 The glass jar are from Daiso 1 Utama. They are small and cute to me. Portable too! 2. 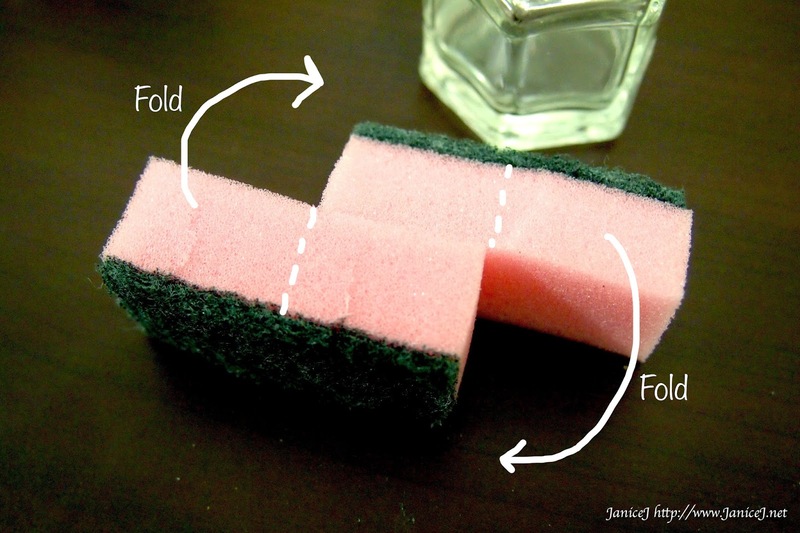 Line your sponge as shown below and fold it to a "S" shape (refer to photo below). This way you can have both the soft and rough part of the dishwashing sponge in the middle. p/s: Sorry for the horrible chipping nails! 3. 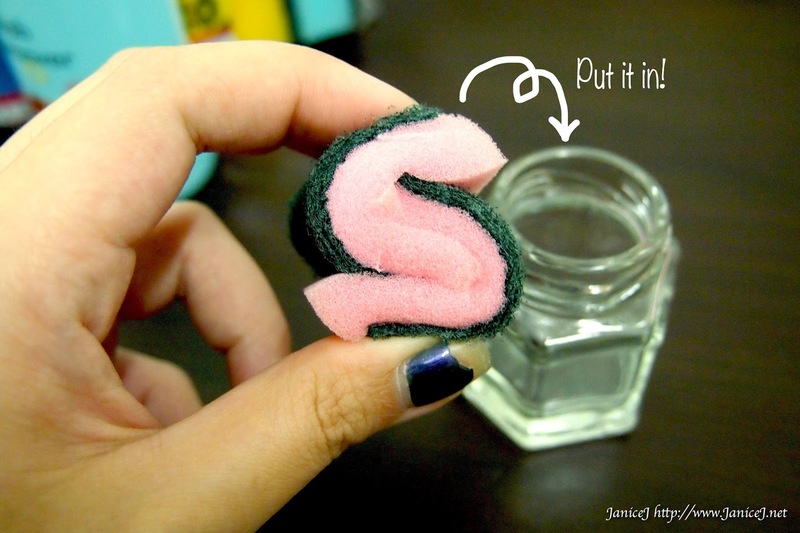 Put your "S" shaped sponge into the bottle. 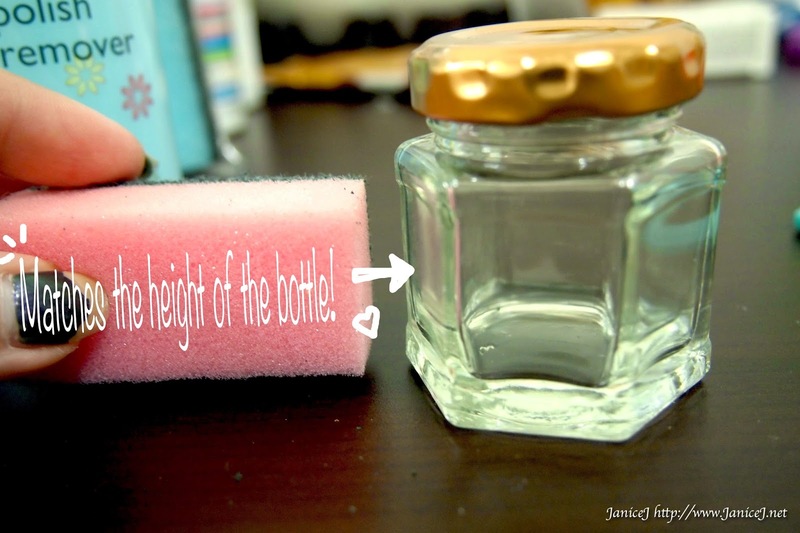 If your bottle is bigger, you might want to put more sponges in the bottle. Note that the better it is when it is more compact inside the jar, since sponge absorbs water well and it will be loosen. It creates more friction between nails and sponges also in this way. 4. 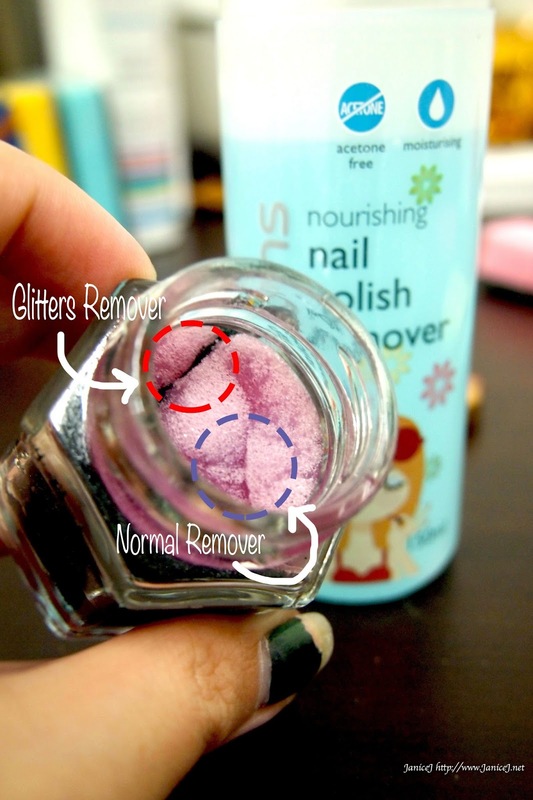 Pour in your nail polishes remover. Careful on the amount you pour! If your nail polishes remover drips out when you turn the jar around, you are too heavy on your hand. I got my nail polishes remover from Watsons with pwp (RM9.90 RM6.90). 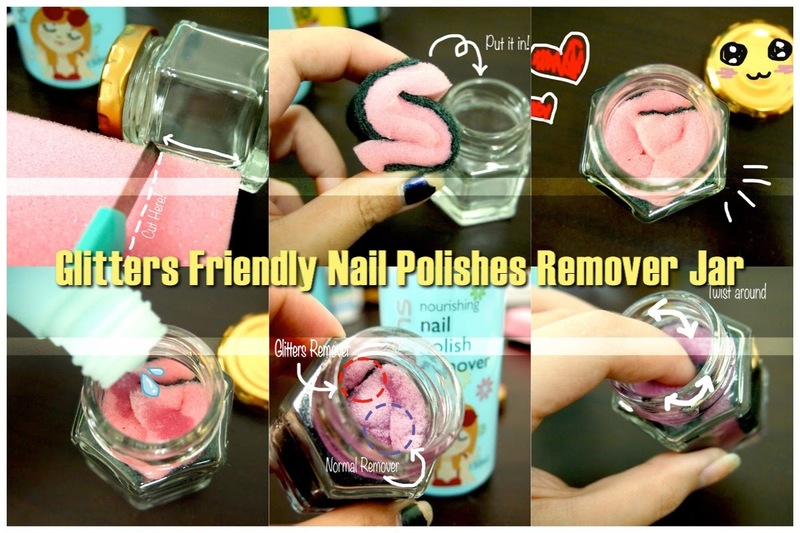 You can use any nail polishes remover of your choice. I prefer one that is acetone free and moisturising as you will be immersing your whole finger into the jar later. Note that how both my rough (Green) part and soft (Pink) part of the sponge is in the middle. 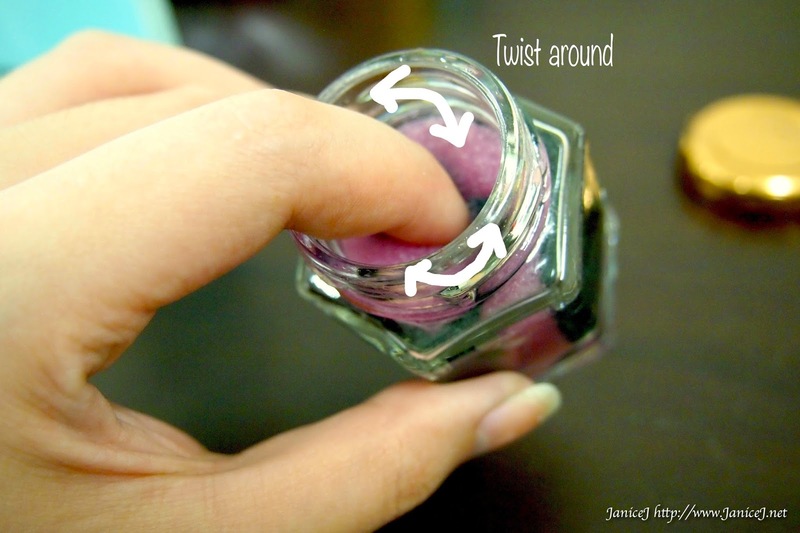 With this way you can put your finger in and twist it around to remove even the most stubborn nail polishes. It works well for me. Without cotton pads, no hassles. Remember to apply your hand creams and cuticle oil generously to moisturise your hand and nails after using. You can replace the sponges after it is very dirty. 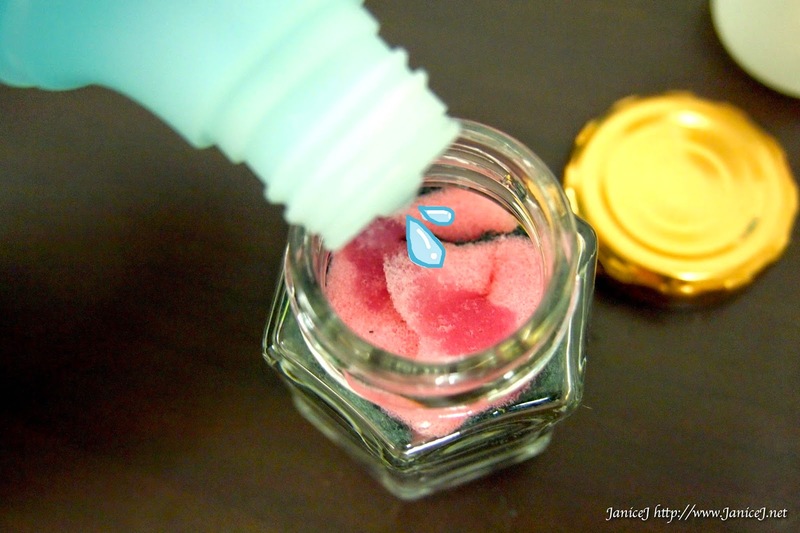 If your jar happens to dry out, just pour in your nail polishes remover and it can be use again! Now, go ahead and enjoy your nail colours! I will be happy if you willing to drop some loves in the comment box! Also, giftaways is still running and few hours till it ends! Get your easy entry here.